U.S. scientists are adding their voices to mounting international pressure on Libya to release six foreign medical workers who could face execution within weeks. 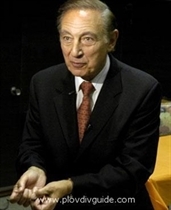 A letter published online today by Science--written by virologist Robert Gallo (on the photo above), director of the Institute of Human Virology in Baltimore, Maryland, and co-discoverer of HIV, and signed by 43 other scientists--accuses the Libyan government of using the medics as scapegoats for the accidental infection with HIV of more than 400 children at a hospital in Benghazi. Libyan police rounded up the five Bulgarian nurses and a Palestinian doctor in 1999 and used torture to extract confessions that they had deliberately infected the children as an act of bioterrorism, according to human rights organizations. European scientists say poor hygiene likely caused the outbreak before the medics started working in the country (Science, 8 April 2005, p. 184). The scientific evidence supported the medics' innocence, says Vittorio Colizzi, a virologist at the University of Rome "Tor Vergata" and an expert witness in the case. But it was disregarded by a Benghazi judge in 2004 in favor of damning testimony by Libyan doctors that was "full of errors and misunderstandings of basic molecular biology." The judge sentenced the medics to death by firing squad. The medics' final appeal is now being heard by the Libyan supreme court in Tripoli. Even more scientific evidence has accumulated since then, says Colizzi, but the supreme court denied the defense an opportunity to present it. The final session is scheduled for 31 October; a verdict is expected soon after. "We want to get people angry and influence their governments to do something," says Gallo. Libya's actions "send a chilling message" to international health workers that could discourage them from working in the developing world, says Gallo, adding that the Libyans themselves “need all the scientific help they can get to prevent another outbreak." For its part, the Libyan government has said that the case could be settled if Western governments pay "blood money" to satisfy the families of the infected children; a sum of $5.7 billion has been suggested. Outrage among scientists has been building in recent weeks in parallel with diplomatic pressure from the U.S. and European governments. The U.K.'s Royal Society, the New York Academy of Sciences, and the Federation of the European Academies of Medicine, among others, have published open letters to the Libyan government calling for the medics' release. The Web site of AAAS (publisher of Science) contains directions for how individual scientists can add to the pressure. If the medics are not given a reprieve, says Gallo, "I will do everything I possibly can, starting with a call for an emergency session of the [U.S. National] Academy of Sciences" to consider a "full scientific embargo." And if Libya decides to free the medics, Gallo says international praise and support should be equally swift: "They need to know that this virus is a problem for all of us, and we scientists can help."